Mike Morgan, President presents Donald Grisdale with a plaque in recognition of 40 years service and a watch to commemorate his retirement. 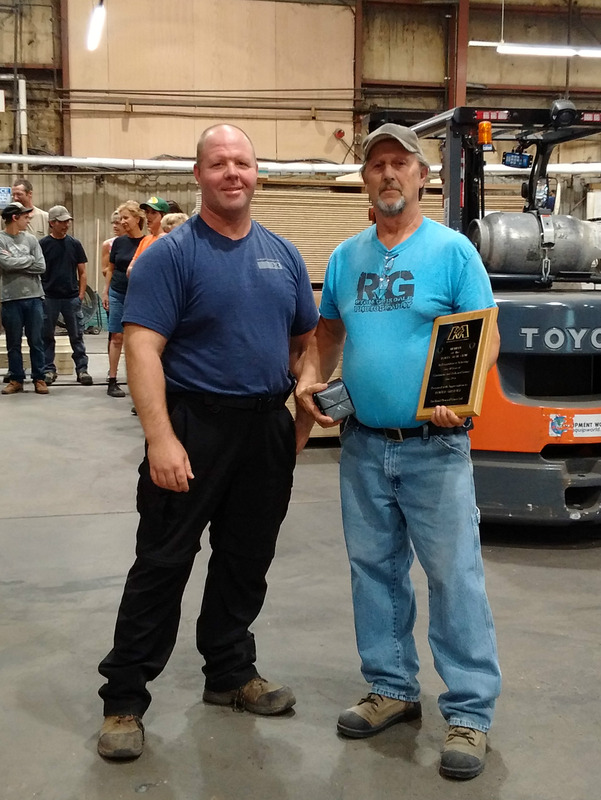 Birchland would like to congratulate Don Grisdale for over 40 years of dedicated service and to wish him all the best in his retirement. Mike Morgan (President) presenting Lois Barber with a watch. Congratulations to Lois Barber on her retirement. Birchland offers her our thanks for her 37 years of dedication and hard work. Good luck Lois in the future and enjoy your retirement. Mike Morgan (President) presenting Morris St. John with a plaque. Congratulations to Morris (Moe) St. John on working for Birchland for 40 years. We thank you for your continuing hard work and dedication. The annual Midway Lumber/Birchland Curling Bonspiel is a family tradition that began half a century ago under the direction of second generation company manager, Hubert Morgan, and senior management veteran, Clifford Cooke. Hubert was always concerned about employees having a safe and enjoyable event that would be offered by the company in lieu of a Christmas party. At the time, both Hubert and Clifford were involved with the local Thessalon Curling Club and came up with the idea of a bonspiel, in which everyone would be included, whether they were experienced curlers or not. Thirteen teams participated during the first year, which has grown to a record of 54 teams over the years - including staff, family members and friends of the company. Today, the bonspiel is run by a committee headed up by fourth generation Morgan family member, Mike Morgan. 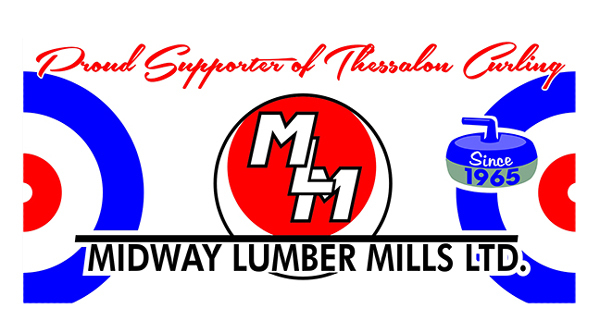 In 2015 we celebrated our 50th year of the Midway Lumber/Birchland curling bonspiel. The annual event is still going strong – 32 teams participated this year, alongside numerous volunteers that contributed their time to help make the event a success. We would like to thank all those that came out and hope to see you all next year!